When the Center for Puppetry Arts’ Jon Ludwig and Jason Hines were dreaming up a new Halloween show in 2005, they read dozens of spooky stories ranging from classic Victorian horror to Mark Twain’s satire. The resulting The Ghastly Dreadfuls features eight of those tales, each with its own puppets and live band mixed with song-and-dance. 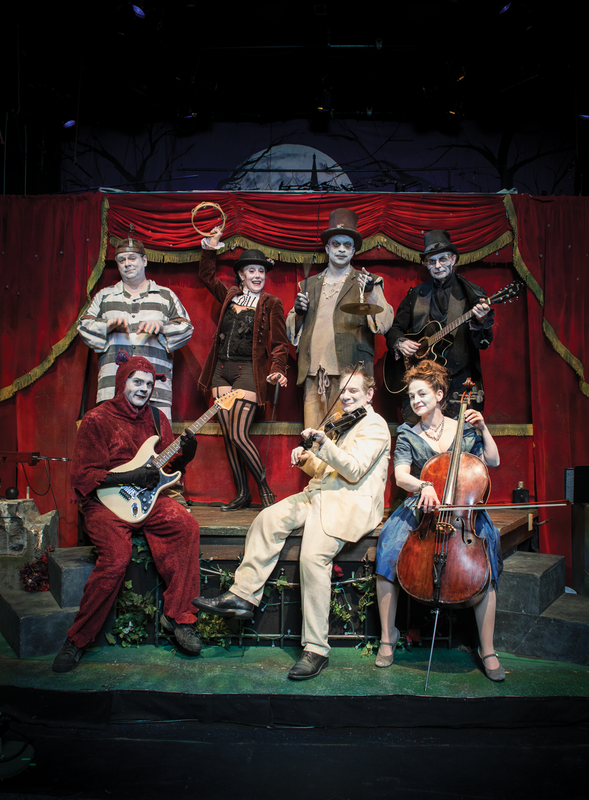 The adults-only vaudeville-esque show has become a cult favorite and Halloween tradition. The eight tales use different puppetry styles, from the stop-action silhouette to marionette to masques. The audience is encouraged to attend in costume, and some come annually. One year a couple drove down from Michigan. “The Girl in the New Dress,” an elaborate tale that feels like a pop-up book come to life, is a “60-piece plywood ballet,” Hines says. Each of the seven performers takes on a personality and name. Ludwig (top right) is Simply Dreadful, the debauched group leader. Hines (bottom left) is Cattly Dreadful, a theremin-playing feline. The Dreadfuls play their own instruments, including cello, piano, guitars, violin, drums, and electric bass.